The market for products formulated with safer chemistries is growing significantly. There are many challenges for companies who want to develop safer alternatives. The first step is to successfully find safer substitutes for the chemicals of concern a manufacturer seeks to replace. Then there is performance testing to make sure that the finished product is as efficacious as its predecessor. Then, finally, a manufacturer has to find effective methods to market its improved products to existing and prospective customers. Within the household and institutional cleaning products sector, CleanGredients is one way ingredient suppliers can communicate third-party verification that their ingredients are safer for human health and the environment, but some companies take it a step further and highlight their CleanGredients listings in marketing and educational materials. These suppliers take on the role of educating their customer base about their innovations, and help product formulators find the resources they need to formulate safer products that their customers want. Some suppliers that list in CleanGredients have made an effort to help their customers navigate EPA’s Safer Choice certification program. 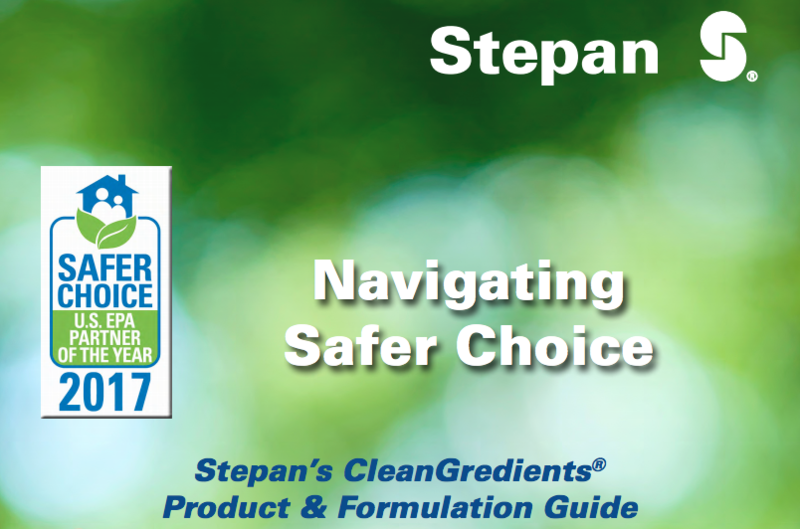 For example, late last year, Stepan Company released a product and formulation guide entitled “Navigating Safer Choice”, which makes it easy for customers who may not be familiar with CleanGredients and Safer Choice to understand which of Stepan’s home care ingredients are environmentally preferable options that meet Safer Choice criteria. The guide identifies how each of Stepan’s CleanGredients-listed products can be used in product formulations, as well as which of their products meet other green chemistry criteria, such as bio-based content. It also highlights Stepan’s starter formulations, which are formulations that can be used as-is for a variety of cleaning applications, or can be customized with a formulator’s colorant or fragrance, making it easy, especially for small formulators, to get a product with the Safer Choice certification to market. 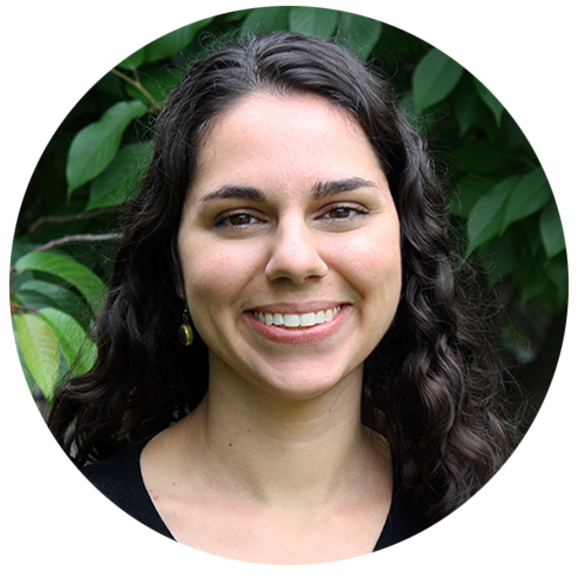 Stepan has supplemented their latest guide by supporting the Safer Choice program in other ways, such as participating in webinars designed to educate other stakeholders about the program. Their commitment to the Safer Choice program was acknowledged by EPA when they were recognized as a Safer Choice Partner of the Year in 2015 and 2017. Other companies are also trying to educate their customers about ingredient options meeting the Safer Choice criteria – both for ingredients used in product categories eligible for the Safer Choice certification as well as for ingredients that meet Safer Choice master criteria and are considered to be safer alternatives to other options on the market. BASF Corporation uses the Safer Choice Standard and CleanGredients as two tools in its toolkit to clearly communicate which of its ingredients are safer alternatives and to help its customers make informed decisions. Within its Home Care and I&I Cleaning business unit, BASF’s CleanGredients Product Guide for Safer Choice Formulations identifies groups of ingredients meeting the Safer Choice standard and listed in CleanGredients, along with relevant applications in home care products and suggested formulations, making it easier for customers to formulate products that can achieve the Safer Choice certification. But BASF has also chosen to join Eastman Chemical in listing a non-ortho-phthalate plasticizer, Palatinol® DOTP, in CleanGredients. While this ingredient is not yet used in product categories eligible for the Safer Choice certification, because it is listed in CleanGredients, BASF can reassure its customers that it meets the Safer Choice Master Criteria and is a safer option for human health and the environment. More and more chemical suppliers are recognizing that they have a key role to play in educating their customers and helping them select lower-hazard ingredients that will be used in end products that are safer for human health and the environment. Listing an ingredient that meets the Safer Choice criteria in the CleanGredients database provides important third-party assurance that it is a safer alternative, but suppliers have the opportunity to go further, leveraging their CleanGredients listings to help their customers understand their options and to ultimately create safer, more effective products their customers want.